We’ve been working on a pretty epic arctic animals unit study, and this is one of my favorite parts! 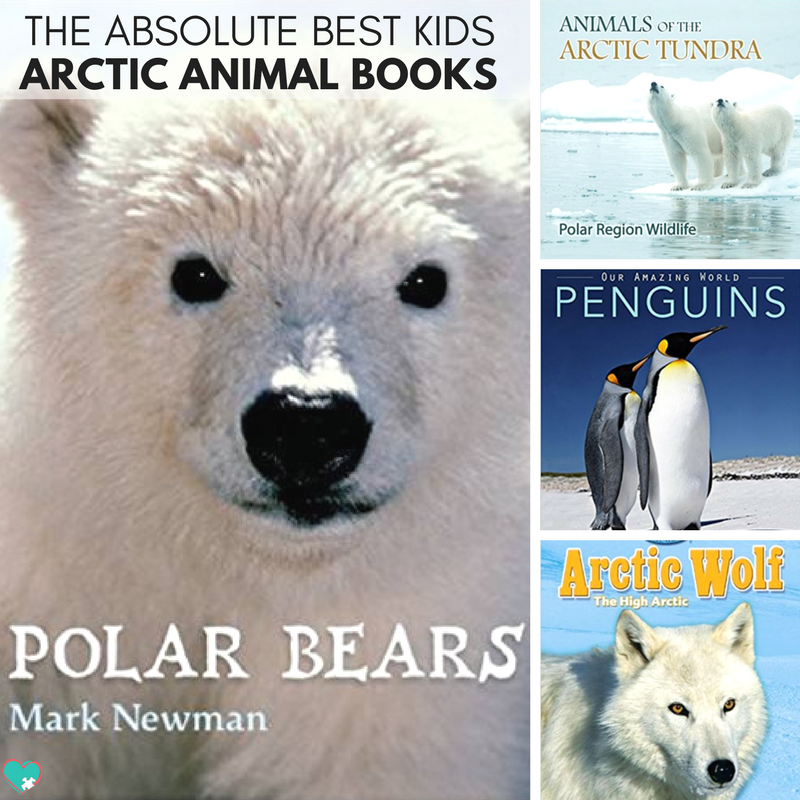 We picked out a bunch of super fun arctic animals books to read. 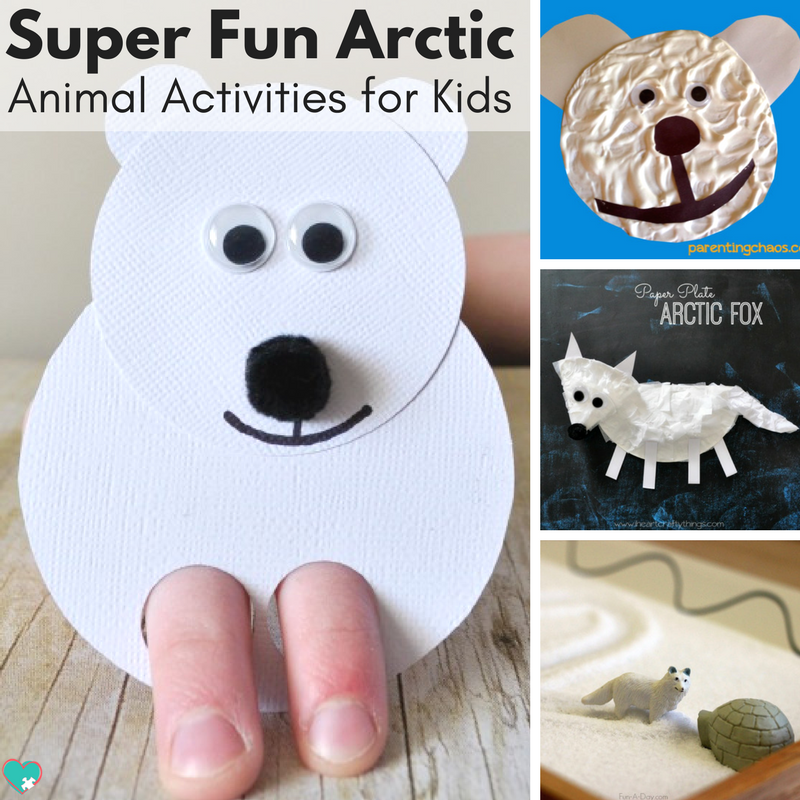 We found a ton of super fun arctic animals activities and crafts. I made some ADORABLE Math, Literacy, and Activity Printable Preschool packs. And finally, I wanted to add an extra layer of fun, so I made this totally adorable arctic animals memory game for you! 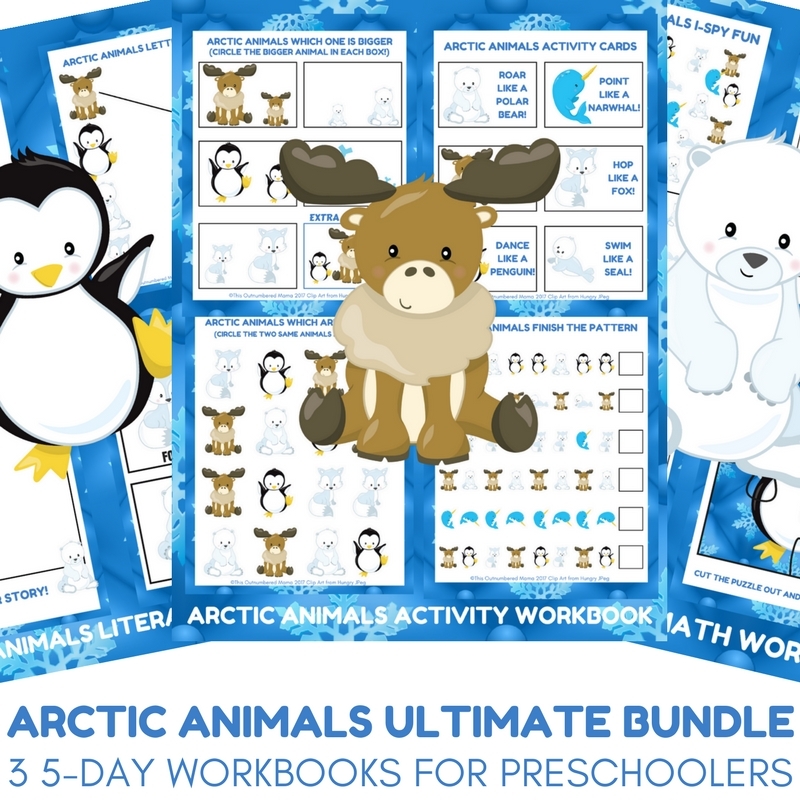 This free preschool printable for your arctic animal unit study is sure to be a hit! See, the key is to find an activity with a very simple premise (like memory) but tweak the learning objectives a bit for each kiddo. So when Cap’n M is picking, we might talk about what animals he’s seeing to help him with his speech delay. A-Man might have a discussion about the different colors in the cards and taking turns. 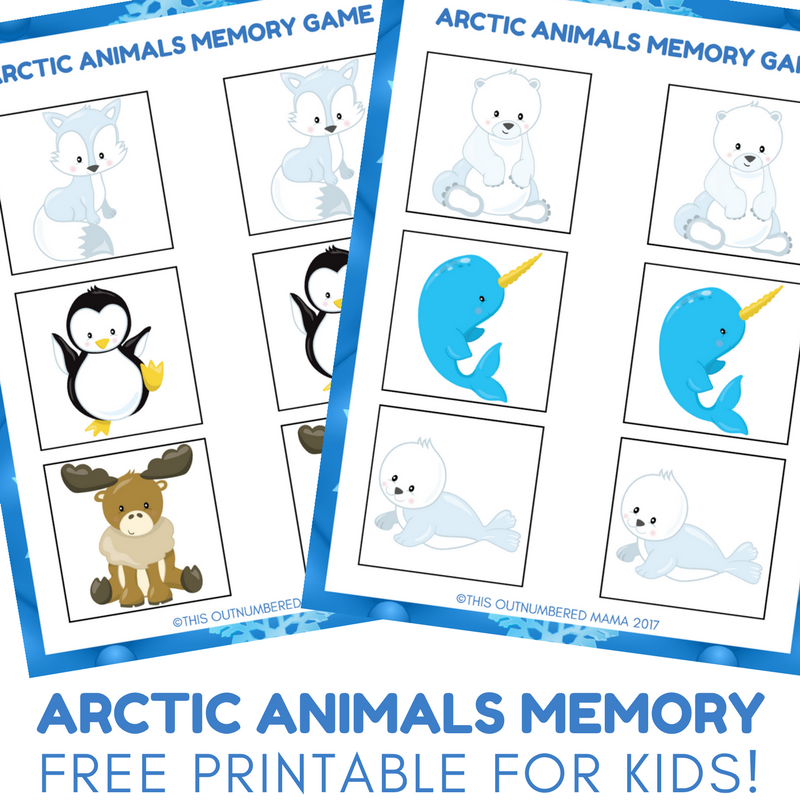 First you’re going to download and print your Arctic Animals memory game printable. If possible, try to print on cardstock, but you can still do this with regular paper. Next you’re going to have your kids (Or you can do it if you want straighter lines!) cut out each of the square cards along the black lines. We love using these scissors with paper or cardstock. Once your cards are ready, let your kids help you mix them all up and place them face down on the table in front of you. Then everyone gets to take turns selecting and flipping over two cards. If they match, you get to keep them, if they don’t you flip them back over. Pay attention, though! You definitely want to remember which cards you’ve seen so you can find matches more easily! When all cards have been matched, the person with the most matches wins! 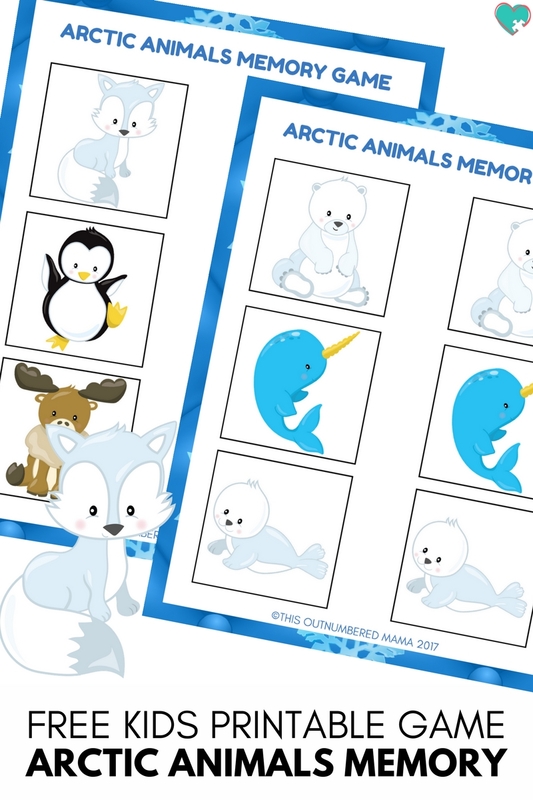 To get the Arctic Animals memory game printable, enter your info below! 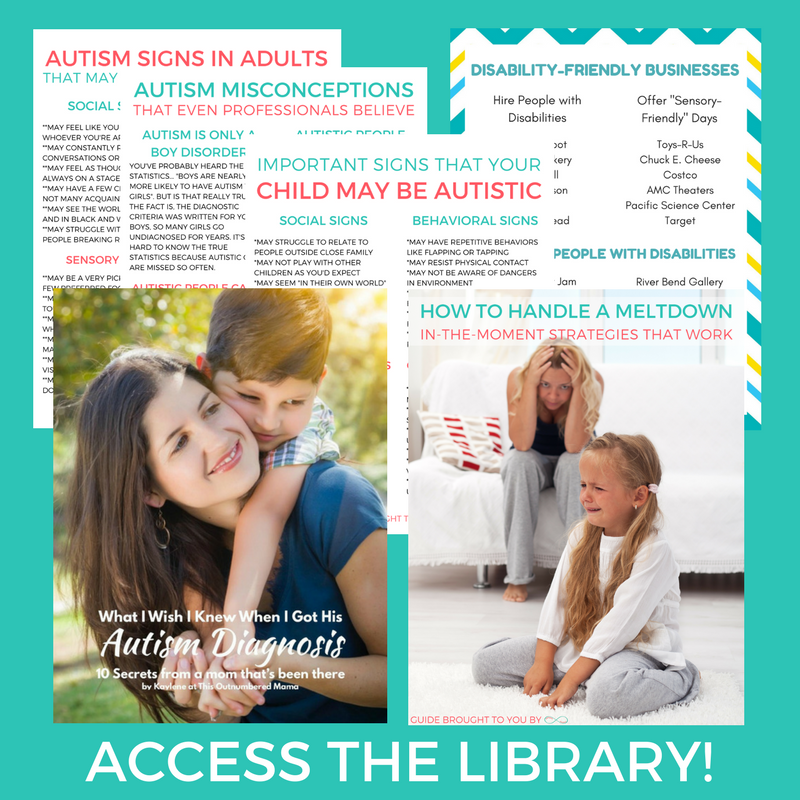 Once you confirm your subscription you’ll get access to the resource library that includes this free printable, as well as all of the other printables I’ve offered on my site! Simple as that! Print it out, do the activity, and have fun!